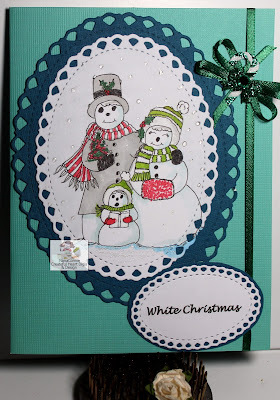 Love your Snow Family Portrait card! 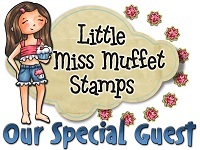 The die frames you used really showcase the digi stamp! Fabulous Connie, I love this snow family! A cute snow family image and lovely design, thanks for sharing this with us in our challenge at Passion for Promarkers this week. What a beautiful card. Love the details and cute digi. Thanks for your entry in our challenge at Tuesday Throwdown. Happy Crafting! Love your Snowman family. Great card. Such a wonderful card! I've enjoyed being on the DT with you. I hope to see your work again soon. Merry Christmas! Beautiful card! I love the shade of green base. The way you framed it definitely draws attention to the cute snow family. Simply adorable. Thank you so much for joining us at Polkadoodles Digi Choosday and best of luck with your entry. Love the old time feeling this card gives me when I look at it. Loving the caroling snow people! What an adorable Snowman family! So cute! Hopping on by for the fun! Love this!! Thank you for the blog hop inspiration!